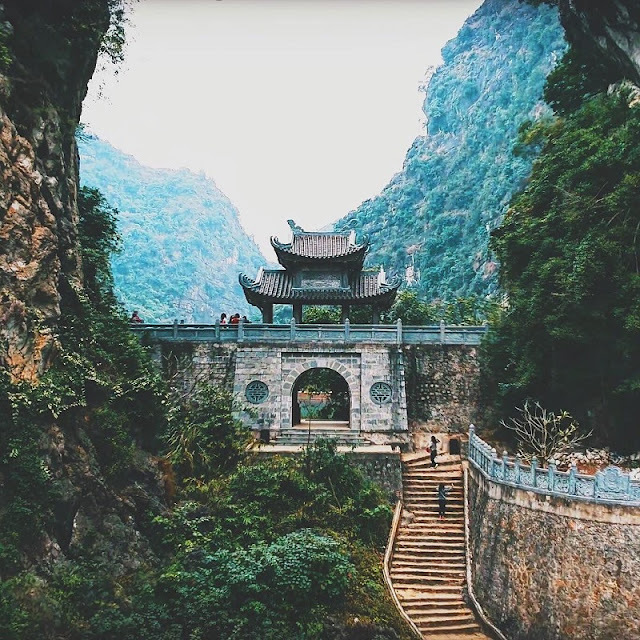 The ancient capital Hoa Lu in the northern province of Ninh Binh, the backdrop for the Hollywood movie Kong: Skull Island, has enchanted visitors with its picturesque landscape, temples and pagodas for years now. Two of its more memorable sites are Am Tien Pagoda and Cave. A visit to Am Tien Cave, about 100km from Hanoi, is like a journey back through Vietnam’s history. This was the location where King Dinh Tien Hoang (who reigned from 968 to 979) raised tigers and built execution grounds. It was also where the dowager empress Duong Van Nga (reign 979-980) led a religious life in her old age. 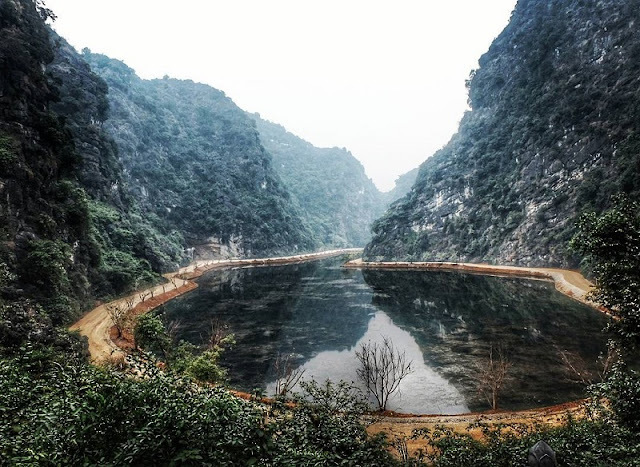 Recently, tourists gave it an alias nicknamed called "Tuyet Tinh coc" (Tuyet Tinh cave) of Vietnam with the magical beauty, which is not less beautiful than the famous landscapes in Chinese marital art films. To go to this place, depart from Hanoi, you can choose a 2 days 1 night trip to combine Trang An, Bai Dinh ... However, if you do not have much time, you can fully explore Am Tien in 24 hours. On the foot of the mountain on which Am Tien Cave is situated, there is a pond where the King used to raise giai (turtles), which is also the name of the pond. The water is crystal clear, allowing visitors to see to the bottom with lots of water plants that give it its unique green colour. The image of a pagoda roof reflected on the green transparent water paints a peaceful picture. The area around the cave seems isolated, enveloped as it is by high mountains. The surrounding scenery is both imposing and poetic, seeming to bear a mysterious and sorrowful aura of the past. From afar, Am Tien cave has the shape of a dragon’s mouth, so it is also called Dragon Cave. Visitors continue their trip from the foot of the mountain, walking up 205 stone steps carved into the mountainside. The entrance of the cave is about 20m wide and 30m deep. Despite the effects of time, the pagoda bell and the three ancient stone stele on which are engraved the names of those who helped build the pagoda are still well-preserved at its entrance. To the right of Am Tien Cave is a pagoda dating back more than 1,000 years. Dowager Empress Duong Van Nga chose the pagoda as a place to lead a religious life after she had helped the Dinh and Le kings fight against Chinese invaders and became enlightened. The pagoda maintains its unique religious structure. In front are two imposing statues of two Buddhist Gods guarding the gate, as well as a word-of-mouth poem that partially summarises dowager Empress Duong Van Nga’s life and career engraved on a stone cliff. Visitors can take a leisurely walk around the pagoda to contemplate its unique structure, or take a break in front of the cave to enjoy the stunning view of the valley below. Those interested to stories about the mysteries or historical myths associated with this sacred location can talk to the locals or nuns. 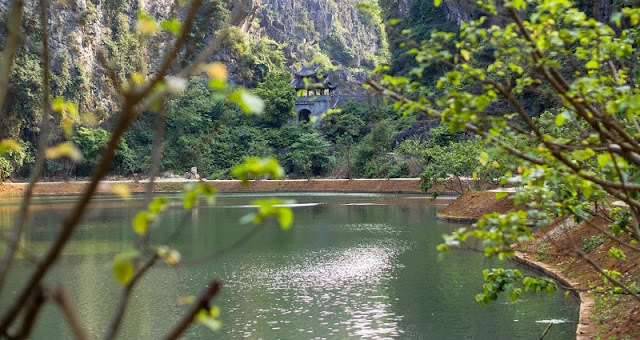 With its mysterious and wild landscape, Am Tiên Cave is one of the slices of heaven on earth with which Ninh Bình Province has been endowed. Many have visited the cave not only to immerse themselves in nature and to worship Buddha, but more importantly to seek peace of mind.